A wide array of professionals, executives, students and interesting stories comprise the 20 finalists chosen to give talks in the TEDx event March 2 at GCU Arena. Organizers hope to draw a crowd of at least 4,000. 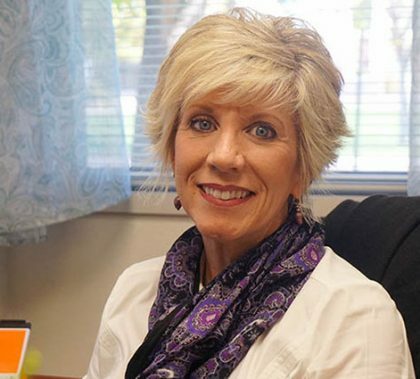 Dr. Lisa Smith has been named dean of the College of Nursing and Health Care Professions, and she brings with her to the job a lot of experience and a lot of faith. “God really is the center of everything that I do,” she says. 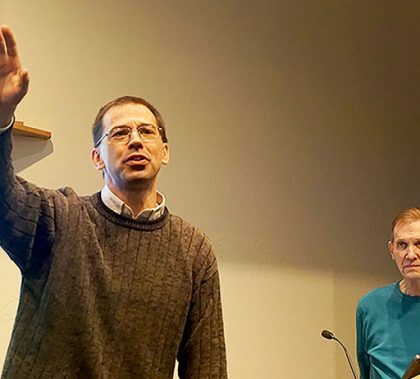 Grand Canyon University’s latest gathering in the Integration of Faith, Learning and Work “Lunch and Learn” speaker series focused on the idea that love is all encompassing and, at times, difficult. Biblical definitions and interpretations of love include goodwill and forgiveness to those who have done you harm. 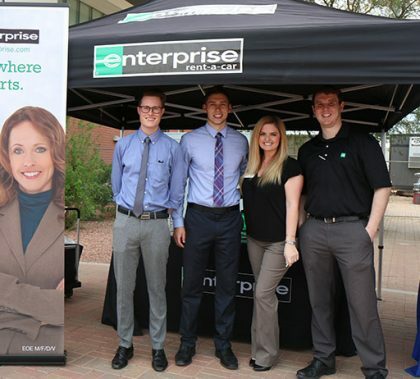 The Colangelo College of Business is beta-testing a Conscious Capitalism addition to the marketing simulation program being used in the Marketing Management class of its MBA program. 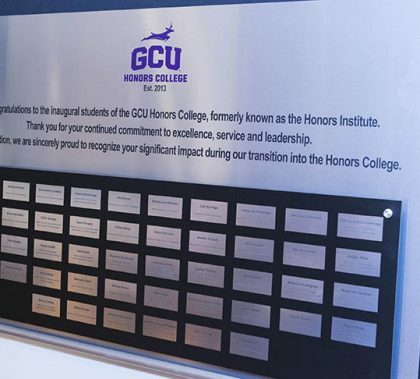 “GCU is absolutely leading the way in bringing these concepts to graduate and undergraduate business school students,” said Scott McIntosh, founder of the Phoenix chapter of Conscious Capitalism. 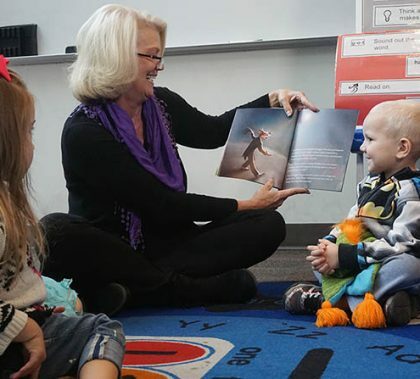 Dr. Kim LaPrade, dean of the College of Education, is the author of “Thunder’s Vision,” a 14-page children’s book that follows Thunder, a curious little Lope struggling to find his purpose. Through the adventures of Thunder, LaPrade communicates the often unique and unconventional path to purpose. She got to read the book while spreading the holiday cheer for a group of youngsters Tuesday during the all-employee Lopes Christmas Party. 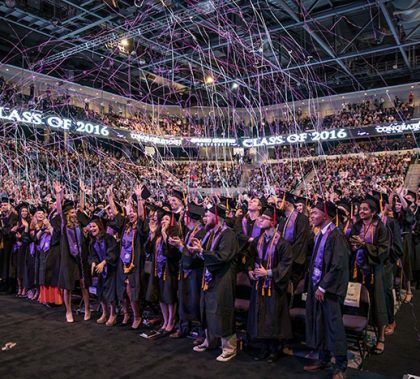 Roxanne Maier, 60, watched her class graduate from Grand Canyon University on Friday from a seat in GCU’s Arena. Cancer sidelined her education temporarily, but she plans to resume studying in the College of Nursing and Health Care Professions in January and graduate in April. 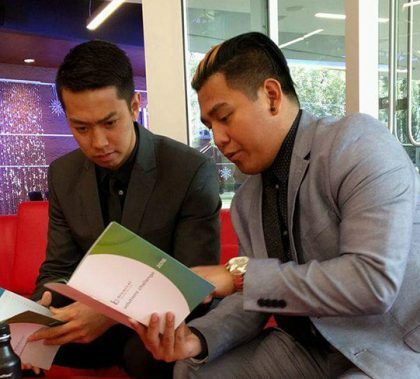 Grand Canyon University senior Mikee Garcia and recent pre-med graduate Vaugn Devera earned third place and a $1,500 grant toward funding their HandleTech project in the BioAccel Solutions Challenge on Thursday night. Their idea is to patent a spray or liquid infused with copper, which acts as an anti-microbe on high-volume bacteria objects in health care facilities, schools and beyond.